Have you ever seen a story map? Some of them look like flow charts; some look like webs or wheels with spokes coming out of a center; some have boxes and arrows that zigzag around. The idea is to show that a story has many parts and that some things happen in isolation while others have direct consequences. We have been fascinated to notice and recognize God at work on MOV’s story map. The MOV chart looks like a wheel, but each “spoke” then takes on its own flow! Also, as a result, pastors asked us to return for a new conference in Freetown, Sierra Leone, and one in Monrovia, Liberia (2019). Can you see the spoke branching off and flowing different directions? Do you see the pattern? Long-term friends → missionaries → MOV conference hosts. Who are your missionary friends? Can you arrange for us to meet with them to discuss an MOV conference? 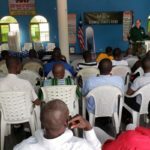 Along a different storyline, U.S.-based churches send MOV teams to their men’s retreats and their international adopted groups. Pender United Methodist in Fairfax, VA, is one of those. Pender not only supports MOV, but had me speak at a men’s retreat and arranged for MOV conferences in Paraguay (2015) and Peru (2016) and where they are heavily involved. Those storylines continue on to form new webbing ‒ men’s groups. Faith Presbyterian Church in Myrtle Beach, SC, put us in contact with a ministry in Romania to orphans. 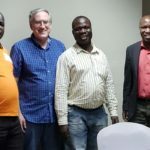 MOV speaker and pastor Mark Seager and I met with them and learned they want their young orphaned men to receive guidance, the men who adopt or foster the young men to get training, and the local pastors to hear why and how to reach and teach men. We are looking ahead for three Romania conferences (2020). Do you see the pattern? Local church → international relationships → MOV conferences. What international ministries and missions are your church involved with? Can you arrange for us to connect with them to discuss an MOV conference? Yes, really! Stories come about in many ways. Our family was on vacation and met pastors from Southern Africa. I gave them some materials, and now conferences are planned in Swaziland and South Africa (2019). Can you see a pattern? Vacation → take every opportunity → set up a conference. Where are you going on vacation? Can you take MOV information packets and pass them to people you meet as you share about this ministry that you are involved in? We’ve written a lot about our Across Borders conferences. Charles Mwase started out as a host and attendee at an MOV conference in Malawi. Then he became a speaker and team lead for Men of Valor. 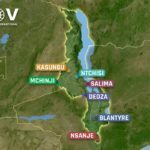 MOV-Malawi has hosted eight conferences in the last two years. This year he took the messages across borders ‒ twice to Tanzania in the summer ‒ and he is heading to Mozambique in January and possibly Zambia in the next year. But, how did it all come about initially? From a conference I conducted in Zambia in 2013. Host pastor, John Chellah, gave me his friend’s name. That friend was Charles. Each thing leads to the next, and the story grows and grows, branching out, heading new directions. And where is that particular storyline going? Well, another flow has emerged…. Charles won’t have to cross the Tanzania border again, because now Pastor Green Ngusa in Mbeya has formed a team and wants to take on Tanzania! Green was another one who attended an MOV conference, helped with the next one, and then said, “I want to do this!” He already has three places in his country asking for conferences. Charles and Green aren’t the only national leaders who have formed teams to take the messages to their own countries. Michael Orieny in Kenya has been doing that for several years now. He also attended two MOV conferences and then started using the materials. His approach is as a disciple-maker: He takes small groups of men at a time through the conference materials. Do you see the pattern? Conference attendee → conference arranger → conference speaker. Many, many men have lost their way and their mission. MOV helps them to find it. MOV helps them to understand how much they matter to God, and we give them a clear understanding of their priorities and the necessary practices to live out who they are in Christ. Men of Valor has served thousands of men and their families from hundreds of churches―pastors; church leaders; and just regular guys, young and old, single and married. We’ve seen men get saved, men ask forgiveness of their wives and families and restore relationships, men realize they need to be in prayer and Bible study, men get excited. We’ve had a chance to kick-start men’s discipleship in these countries and see God bless our efforts in many ways. Given a man’s influence, the impact is huge. We believe God is leading, and MOV is responding to the many requests. It is vital to take these life-changing messages to men around the world who have no opportunity to hear them. We are so grateful for our ministry partners who have prayed and given so that we can teach men what it means to be faithful men of God―men who lead and have an impact on their families, churches, and communities. Their interest, support, and generosity have resulted in stories everywhere we go. 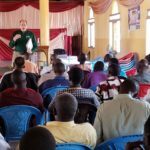 Their financial support allows travel to distant lands to conduct conferences; provides for local teams; and supplies teaching notebooks, meals as needed, and Bibles to conference attendees. God is writing MOV’s story!